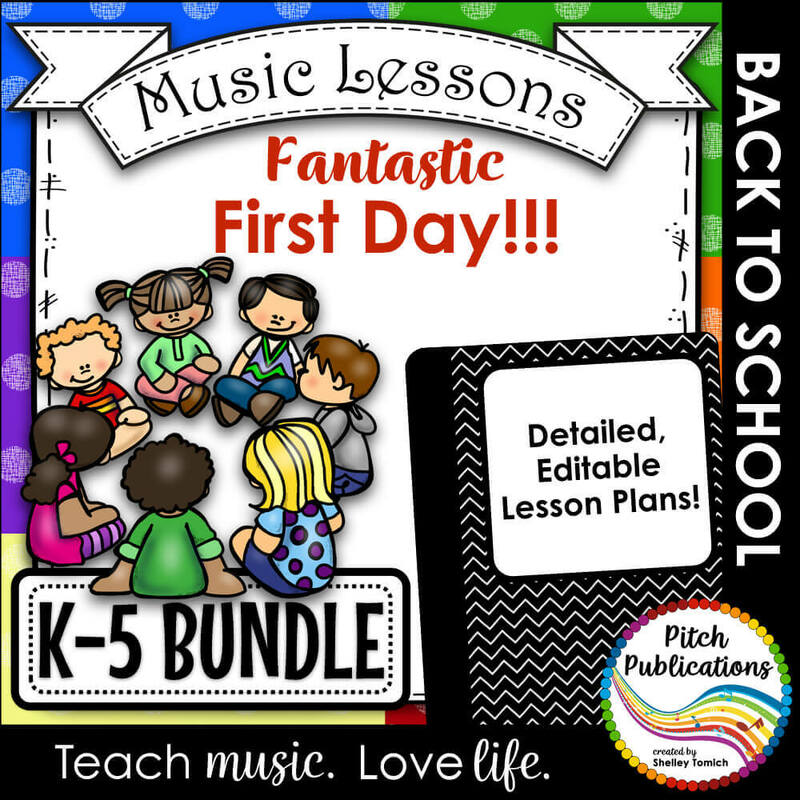 Home / Products / $ Money Saving Bundles / Back to School Music Lesson Plan Bundle! K-5 Lessons for the first day! Are you a new music teacher or a veteran music teacher looking for some fresh ideas? Want to have a fantastic first day in music? Look no further! 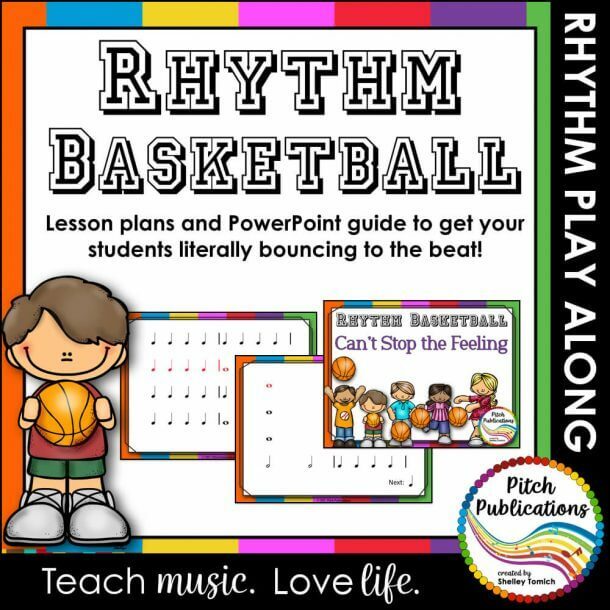 This is a tried and true set of Music Lesson Plan Bundle that will really hook your kids! Kid will leave that first day saying your class is SUPER FUN! If you can get that reputation, the kids will buy into all the amazing things you teach them in the future! Are you a new music teacher or a veteran music teacher looking for some fresh ideas? 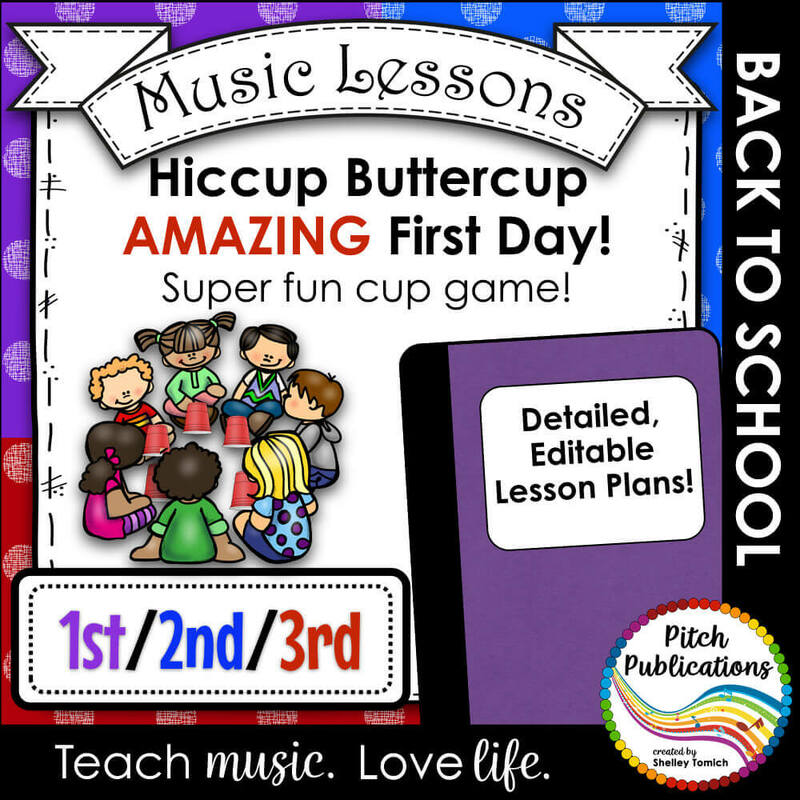 Want to have a fantastic first day in music? Look no further! This is a tried and true set of lessons that will really hook your kids! Kid will leave that first day saying your class is SUPER FUN! If you can get that reputation, the kids will buy into all the amazing things you teach them in the future! 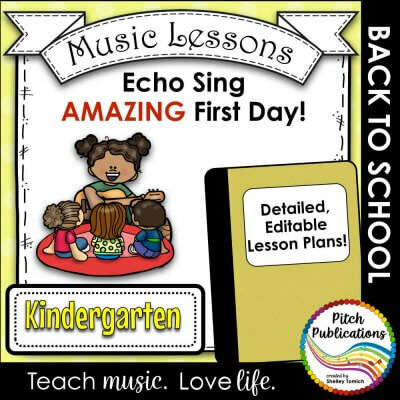 Start your fabulous first day of music now! 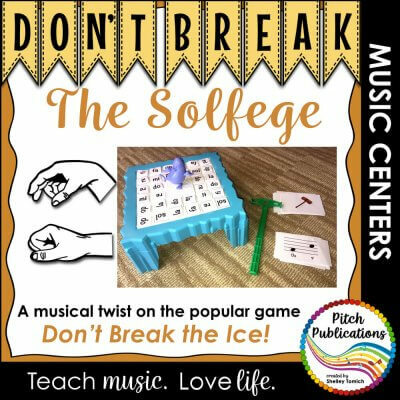 Note: This file is included in the following money saving Back to School Music Lesson Plan Bundle. 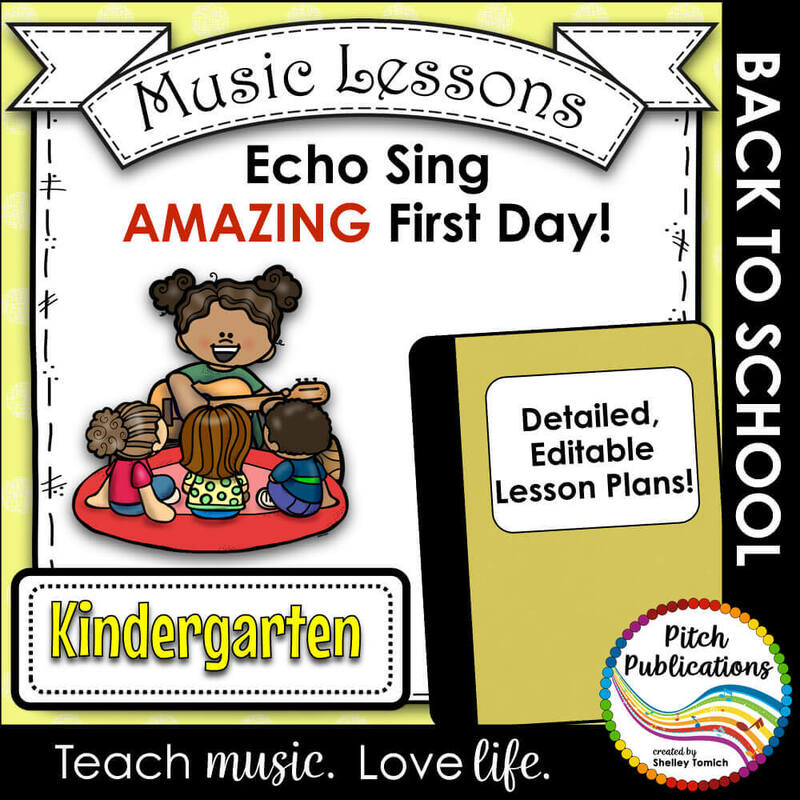 This is a tried and true Music Lesson Plans for kindergarten to get your year started! Kids will leave that first day saying your class is SUPER FUN! If you can get that reputation, the kids will buy into all the amazing things you teach them in the future! This is a tried and true set of lessons that will really hook your kids! Kid will leave that first day saying your class is SUPER FUN! If you can get that reputation, the kids will buy into all the amazing things you teach them in the future! 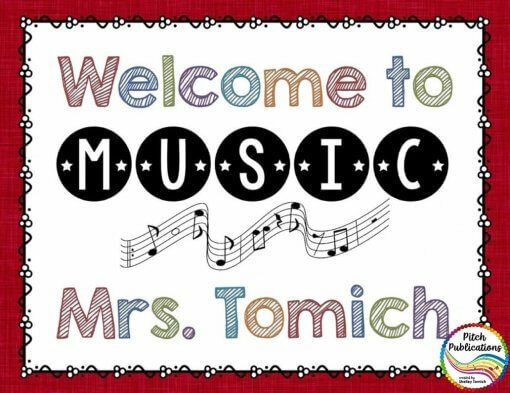 Let's have a fabulous first day in music! This file is included in the following money saving Back to School Music Lesson Plan Bundle. Are you a new music teacher or a veteran music teacher looking for some fresh ideas? 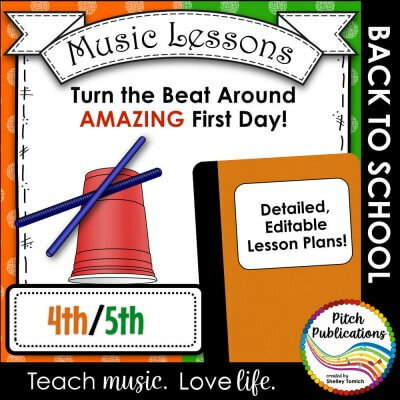 Want to have a fantastic first day in music? Look no further! This is a tried and true set of lessons that will really hook your kids! The kids will leave that first day saying your class is SUPER FUN! If you can get that reputation, the kids will buy into all the amazing things you teach them in the future! PLUS! Bonus PowerPoint for those first day introductions and rules! 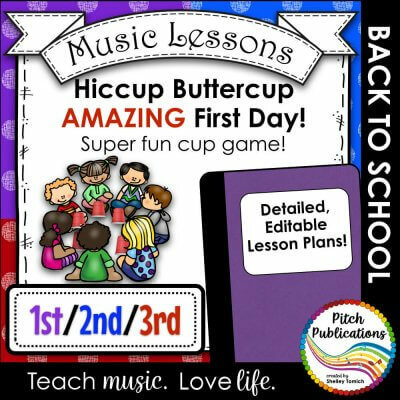 • Detailed (yet editable) lesson plans for K-5. State (GA) GPS Standards, National Music Standards, and National Core Arts Standards are marked. • Video demonstration of the cup games. • Bonus exclusive to this set! – PowerPoint for that first day which includes a way to go over class rules, reminders to go to the bathroom and get water, and reminders for the rewards and consequences of behavior. 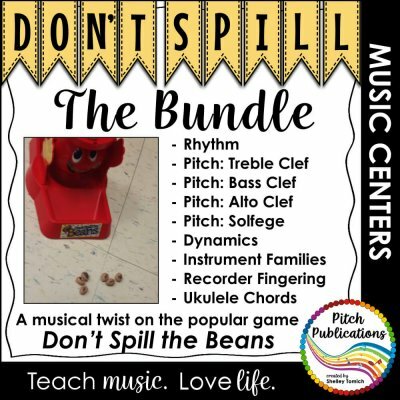 • Bonus – MUSIC rules (only) from the Rainbow Brights Music Rules set. • Kindergarten – Students will go through normal first day procedures (rules, etc.) and then be introduced to a special puppet friend in the classroom that leads through how to Echo. Students will explore a variety of voices and movements and end the lesson with reading a couple of books set to music. 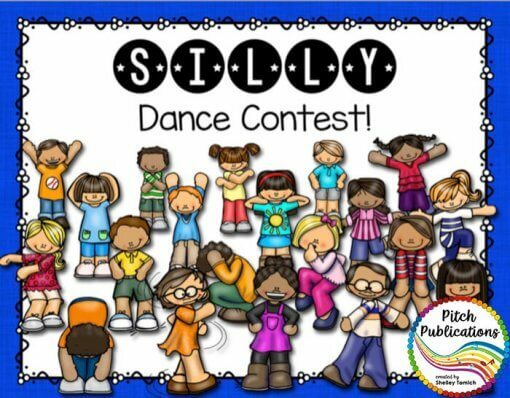 • 4th and 5th Grade – Students will go through normal first day procedures (rules, etc.) 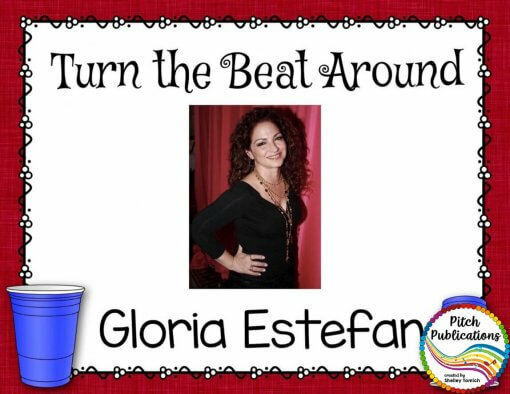 and they will learn a wonderful cup routine to the song “Turn the Beat Around.” I use the version found in Making Music, Grade 4. The directions are editable if you choose to use a different version. These lessons are meant to hook my students from the first day. 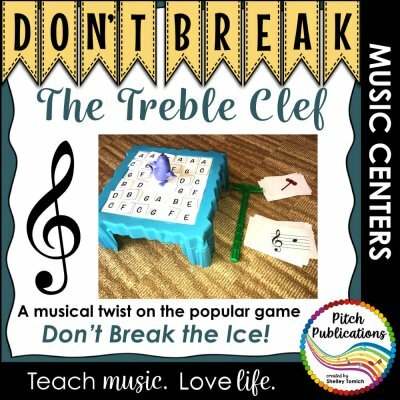 I use the lessons to review things like singing voice, form, tempo, etc. I find that if I can give my class a reputation of “fun” then the students will buy into any lesson I give them in the future! This is meant to be a guide for your individual situation. Substitutions for any part of the lesson is acceptable. Additional items you need to teach the lesson directly as written that are NOT included. • Class set of cups (plastic or disposable from the grocery store work). • Cat Puppet (I use the orange puppet from the Making Music series, but really any stuffed cat will work). • “Copycat Song” from Making Music. Alternative song link provided in resource. (Amazon links are affiliate links. See the full disclosure here). 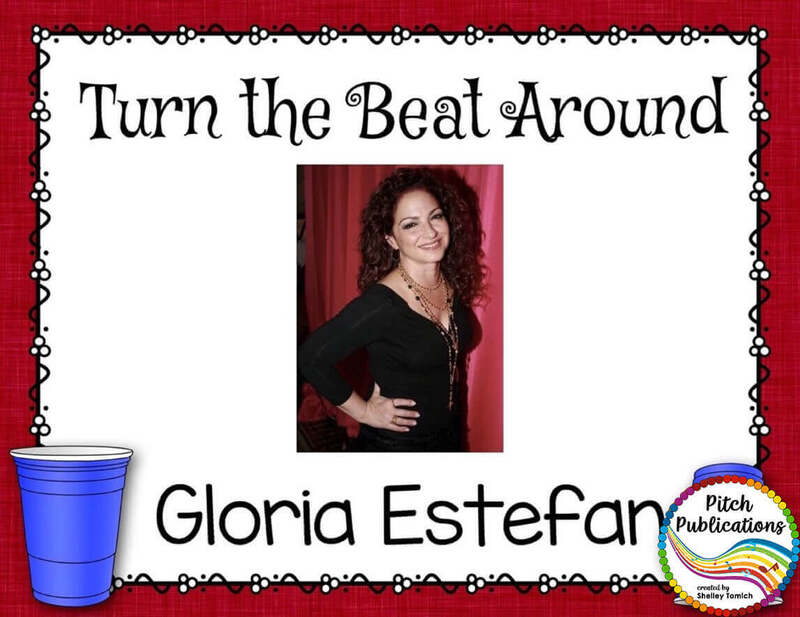 Thank you to Alfred Publishing for their written permission to use the lyrics to the resource, “Turn the Beat Around” in this publication. 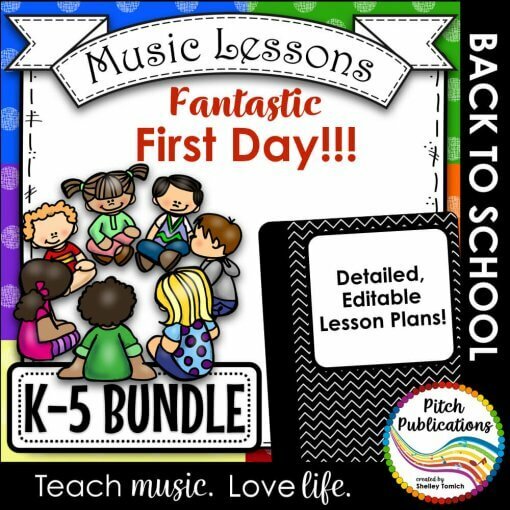 1 review for Back to School Music Lesson Plan Bundle! K-5 Lessons for the first day! Great ideas for my first week.